​As a required part of the Fox School of Business and Management’s curriculum, students must complete BA 2101. In response to the high demand for this course, Gamma Iota Sigma has been asked to give its members the opportunity to receive credit for BA 2101 through fulfillment of the Gamma Iota Sigma professional development activities. The activities include those which are required to be in the Gamma Iota Sigma resume book, completion of a BA 2101 workshop, and the creation of a FoxNet profile. This workshop truly bridges the gap between the information provided in the Gamma Iota Sigma professional development workshops and that which is learned when completing BA 2101 through FSBM. Step 1. Attend the weekly speaker series held each Wednesday from 12:00 – 12:50 PM, completing a critical listening sheet for each meeting. All students enrolled in GIS’s BA 2101 course MUST attend the orientation meeting. Not attending this meeting will result in being dropped from the course roster. The course syllabus will be distributed at this meeting and students must submit a signed BA 2101 contract to the professional development team. ​In addition, the department has created a new course that rewards students for continuing to professionally develop themselves through Gamma Iota Sigma. This course is essentially a one-credit independent study course, but it does not satisfy any specific requirements towards a major. 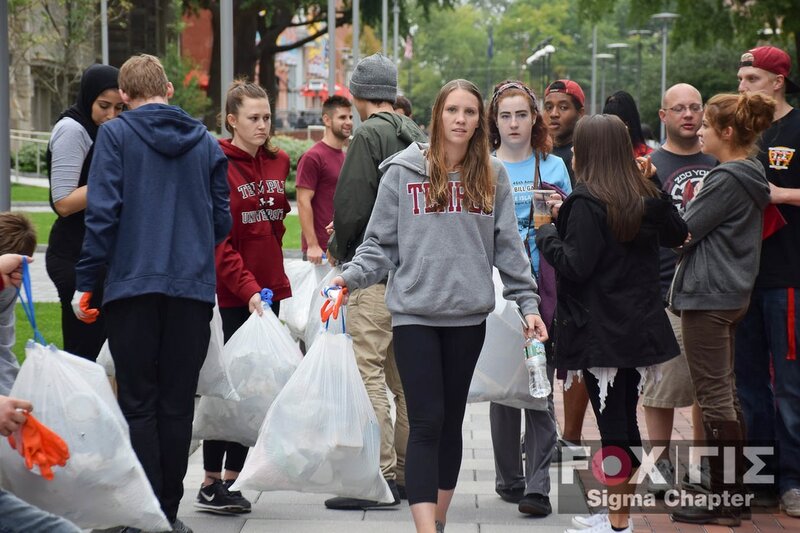 The course revolves primarily around community service activities within the Philadelphia area. Actuarial Science or RMI majors who have completed BA 2101 (either through GIS or Fox) are eligible to enroll in this course. Step 2. Participation in one Gamma Iota Sigma community service event during the semester. All students enrolled in GIS’s RMI 3682 course MUST attend the orientation meeting held at the beginning of every semester. Not attending this meeting will result in being dropped from the course roster. The course syllabus will be distributed at this meeting and students must submit a signed RMI 3682 contract to the professional development team. ​Every Wednesday from 12:00 PM - 12:50 PM The Sigma Chapter of Gamma Iota Sigma hosts an organizational meeting. During each of these meetings a guest speaker addresses the members of The Sigma Chapter as part of a series of guest lecturers. This series of chosen speakers is referred to as: The H. Wayne Snider Distinguished Guest Lecturer Series. To get an idea of the caliber of individuals that speak at these Wednesday meetings, you may view our library of past speakers. Otherwise, lecturers tend to reside in the Actuarial Science, Risk Management and Insurance, or Healthcare industries. Most speakers tend to have at least five years experience in their respective careers. 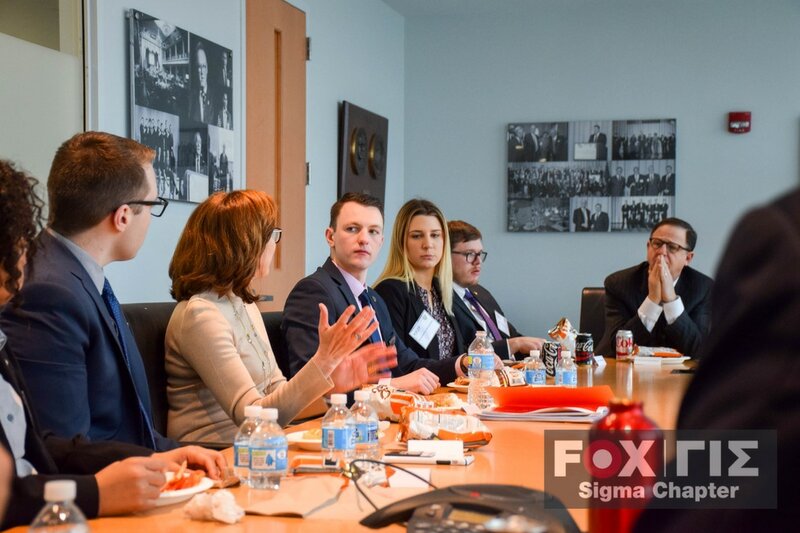 ​Throughout the academic year, Gamma Iota Sigma members are given the opportunity to meet with industry professionals to discuss career aspirations, industry trends, or other general insurance or actuarial related questions. This gives our members the ability to build networking skills and contacts with industry professionals before graduation. Food is subsidized by The Sigma Chapter of Gamma Iota Sigma. Throughout the academic year, workshops are provided free of charge, to our paid members. This workshops help our members develop their professional skills and prepare them for our career receptions. Career receptions enable our members to network with industry professionals in the hopes of obtaining a full-time career or summer internship. ​In addition to the benefits of receiving course credits, paid members of Gamma Iota Sigma are encouraged to join the various committees of our organization. These committees enable members to grow their social networks through exposure to others who are also interested in Risk, Insurance, Healthcare Management, or Actuarial Science. Participation in a committee enables our members to increase their professional skill sets and contribute through various activities to our organization. Lastly, and most importantly, committee participants have fun! 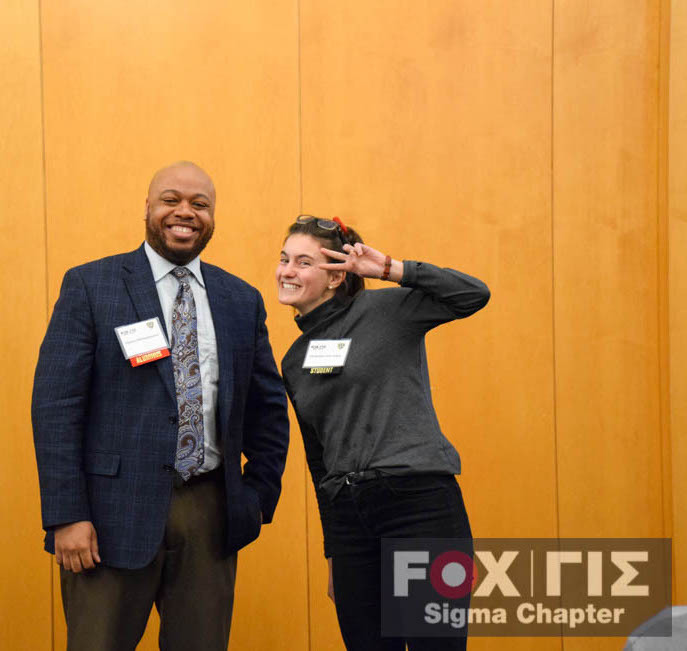 Each semester, the Sigma Chapter facilitates an Alumni Student Mentorship Program in order to unite students with alumni professionals for enhanced guidance, advice, and collaboration on the transitions from the classroom to the office. The Alumni Affairs Team pairs Undergraduate and Graduate Risk Management & Insurance and Actuarial Science students with alumni based in the Greater-Philadelphia who have industry experience. The expectations of the program are two in-person meetings by the end of the semester. Each pairing is encouraged to attend the Annual Gamma Gala, where we recognize participation in the program. This program is a great opportunity for students to have a 1-on-1 relationship with an industry professional. 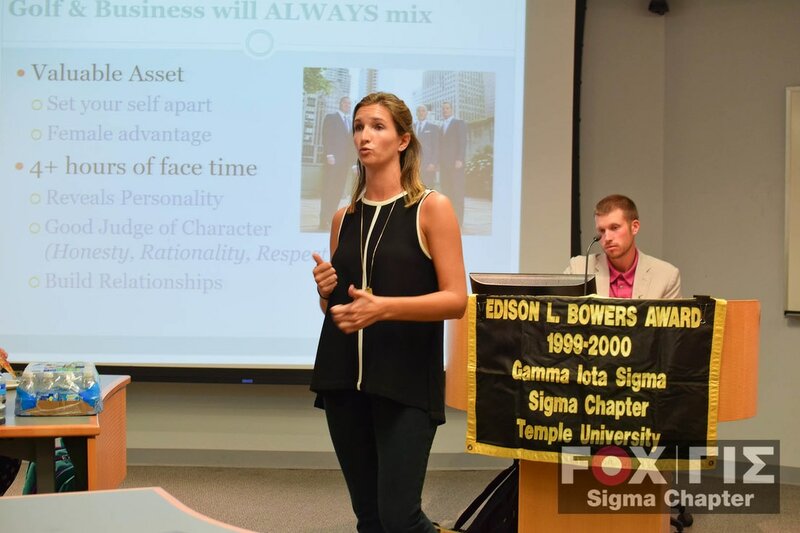 ​Each semester, the Sigma Chapter facilitates a Student Mentorship Program in order to unite underclassmen students majoring in Actuarial Science and Risk Management & Insurance with experienced upperclassmen students to create relationships and provide guidance and advice so students can make the most of their time in the RIHM department. The expectations of the program are three in-person meetings by the end of the semester. 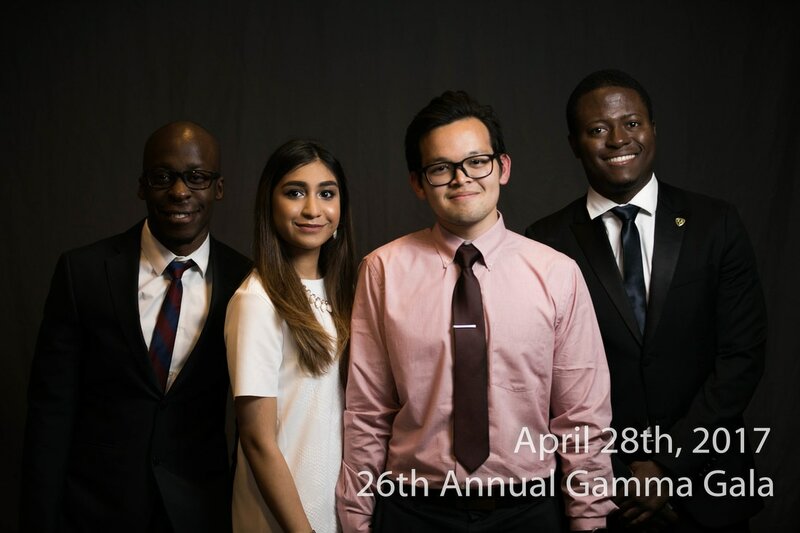 Each pairing is encouraged to attend the Annual Gamma Gala, where we recognize participation in the program.